The Happy Hearts line embraces the heart as a symbolic motif of the Happy Diamonds collection, interpreting it with playful creativity. 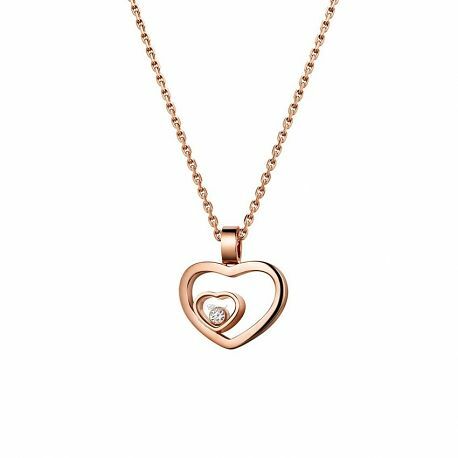 This delightful pendant in 18-carat rose gold features a heart within a heart design enclosing the iconic Chopard moving diamond. A beautiful addition for any occasion.